In some ways, it's hard to believe that Little Neck, Queens is part of NYC. Its western border is Nassau County in Long Island, so it feels more like a suburb than a city, with quiet, tree-lined streets dotted with upscale one-family houses. But hit its commercial corridor, Northern Boulevard, and you'll be reminded that you're in the Big Apple by the diverse array of stores and restaurants. 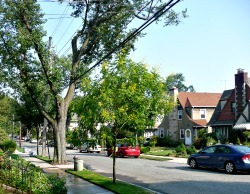 Little Neck has long been popular with families due to its high-performing public schools and lovely residences. The neighborhood is also home to some incredible green spaces, including the 635-acre Alley Pond Park and the educational Queens County Farm Museum. Our Little Neck, Queens Guide highlights the very best places to eat, play and experience with kids in the neighborhood. We hope you enjoy getting to know the area with your family.